We’re interviewing each of our 2018 Guests of Honor about their inspirations, influences, and craft, as well as the role of women in fantasy literature, as befits their corresponding reunion theme. Our feature on Kameron also includes Manda Lewis’s review of The Stars Are Legion (in which she called the book “pungent”), our Book Friends feature which suggests books we feel would complement Kameron’s rich body of work, and a revolutionary book list curated by Kameron herself! Quills at the ready! Check out our Accepted Programming page for the full lineup of this year’s topics, summaries, and presenter biographies. In one of our richest years of programming yet, our presenters will examine everything from found families to distressing damsels, counterpart cultures to writing as self-care, and so much more—all in the form of papers, roundtables, panels, workshops, and afternoon classes. Thank you, presenters! All presentations are available for sponsorship at $35 per presentation. You might choose to sponsor a friend, select a topic that speaks to you, or support an underrepresented voice. We will include your name next to your chosen topic in the program book, provided we receive your donation by August 15. Thank you for your support of programming at Sirens! To celebrate our conference theme of reunion, we continue to reflect on past conferences and check in with our past Guests of Honor to see what they’ve been up to these days. 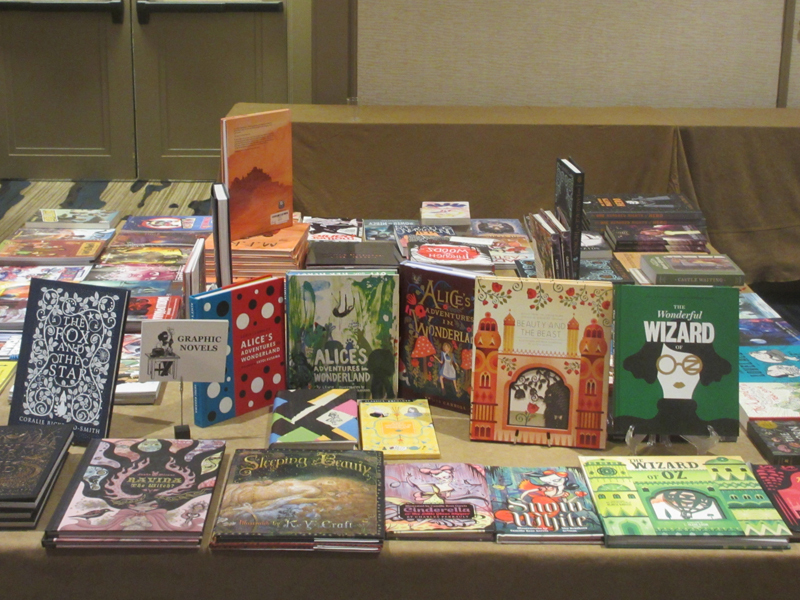 In 2011, our theme was monsters, and our Guests of Honor were Justine Larbalestier, Nnedi Okorafor, and Laini Taylor. Read the full post. We currently only have 6 tickets remaining for the Sirens Studio. If you’d like to register or purchase a ticket, we recommend you do it soon! Before you know it, Sirens will be just around the corner, and we strongly recommend you book your hotel room at the Park Hyatt at Beaver Creek as soon as possible. Please click here for reservations information. If you’re looking for a roommate, please tweet at us @sirens_con and watch our Twitter account for other attendees also looking! 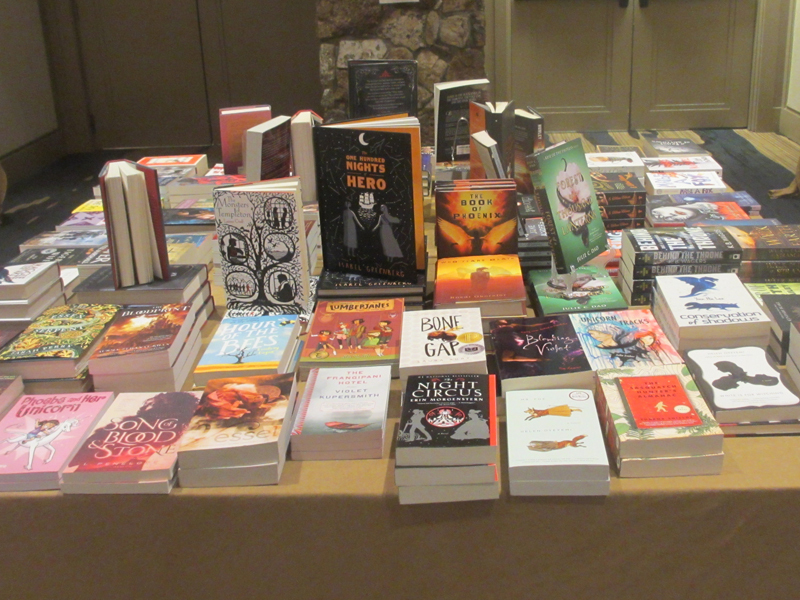 Sirens veterans know that we select a variety of popular, controversial, and just plain brilliant books related to our theme—and invite attendees to bring their breakfast on conference mornings and discuss them. View our 2018 selections, and check out our new spotlight on rebels and revolutionaries, Tomi Adeyemi’s Children of Blood and Bone and Carmen Maria Machado’s Her Body and Other Parties. 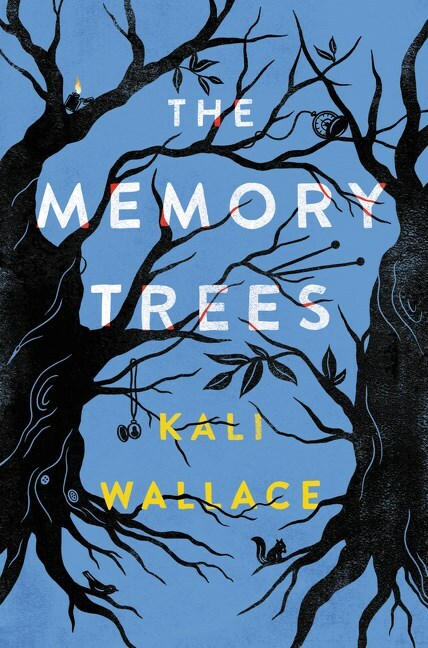 For this month’s book club, Sirens co-founder Amy Tenbrink reads and reviews Kali Wallace’s The Memory Trees, which she considers “one of the best examples of both a non-ghost hauntings book, but also a fantasy book where the magic and the impossible provide another avenue of exploration.” More thoughts on the blog and on Goodreads. 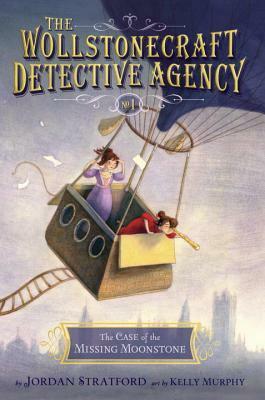 Communications Director Faye Bi reads the most delightful first Wollstonecraft Detective Agency book, The Case of the Missing Moonstone, as part of her 2018 Sirens Reading Challenge this month: “Freaking adorable. Positively charming. 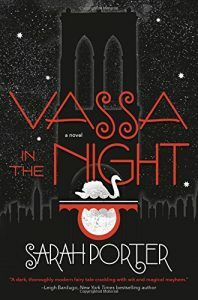 If these books were animals, they’d be big-eyed puppies, ones that I would want to snuggle forever.” Read her full review on the blog and on Goodreads. When we created Sirens, we created something boldly aspirational: something smart, something friendly, something inclusive. Something that is as much a community as it is a conference. An inviting space full of respect, brilliance, and inspiration, where people both speak and listen, and where many people now feel at home. In order to foster that community, we include elements in Sirens such as our keynote addresses that bring all attendees together, often over a shared meal. These elements raise Sirens’s costs significantly. Yet, despite these costs, we remain committed to keeping the price of Sirens as low as possible, so that more individuals have an opportunity to attend our conference and participate in our community. As a result, we run an unusual budget structure: the costs of presenting Sirens exceed our registration revenue by over $15,000. In fact, every time someone registers for Sirens, we lose money. We’re here to ask for your help. Each year, Sirens covers that monetary gap by raising funds, in three ways, from those who can perhaps provide a bit more support. These funds go directly to covering Sirens’s costs, and are critical to our ability to continue providing registrations at lower prices so that our community can continue to flourish. We hope that you’ll consider supporting Sirens this year in one or more of the following ways. For those of you particularly interested in programming, very soon you will be able to sponsor individual presentations for $35, and in doing so, support and encourage particular presenters or the inclusion of particular topics on our schedule. If you’d like to sponsor a programming presentation, please visit our accepted programming page. (We expect to begin posting summaries of accepted presentations very soon!) We will acknowledge you in connection with your chosen programming presentation on our website, in our program book, and at Sirens. For those of you particularly interested in other elements of Sirens, we’re always happy to discuss sponsorship of programming and events. If you’re interested, please email us at donate at sirensconference.org. Please note that, to include your support in our program book, we must have your donation by August 15. 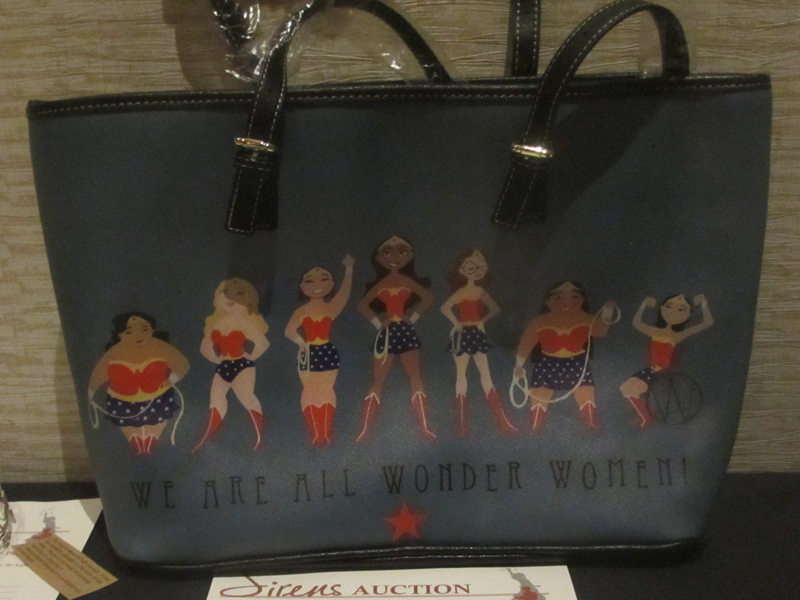 The Sirens auction has become an unexpected source of significant revenue in recent years, and one that we especially love: while raising money for Sirens, we’re also providing attendees the opportunity to obtain amazing items and services. Our auction includes both a silent component, culminating at our Reunion Ball, and a live component, which provides an always-raucous element to our final breakfast. 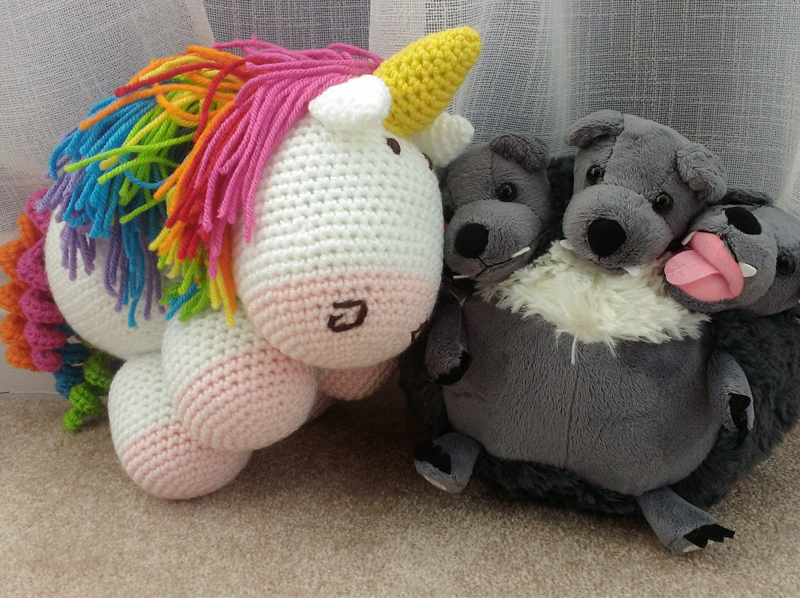 All items in our auction are donated by individuals: Sirens staff, Sirens attendees, and other Sirens supporters. These items are frequently fun, sometimes one-of-a-kind, occasionally startling, and often a terrific deal on professional services. We’ve featured everything from unique articles such as t-shirts, pillows, journals, and jewelry; to professional services such as manuscript critiques to query letter reviews; to art pieces such as custom digital artwork, character naming rights for upcoming books, and original watercolors. A few years ago, Narrate Conferences, Inc., the presenting 501(c)(3) charitable organization behind Sirens, began operating the Sirens bookstore as a fundraiser. This gives us the opportunity to use the bookstore profits to support Sirens, and it also gives us the opportunity, in defiance of the commercial market, to stock our bookstore almost exclusively with fantasy books written by, or featuring, amazing women—books that we and the Sirens community love. 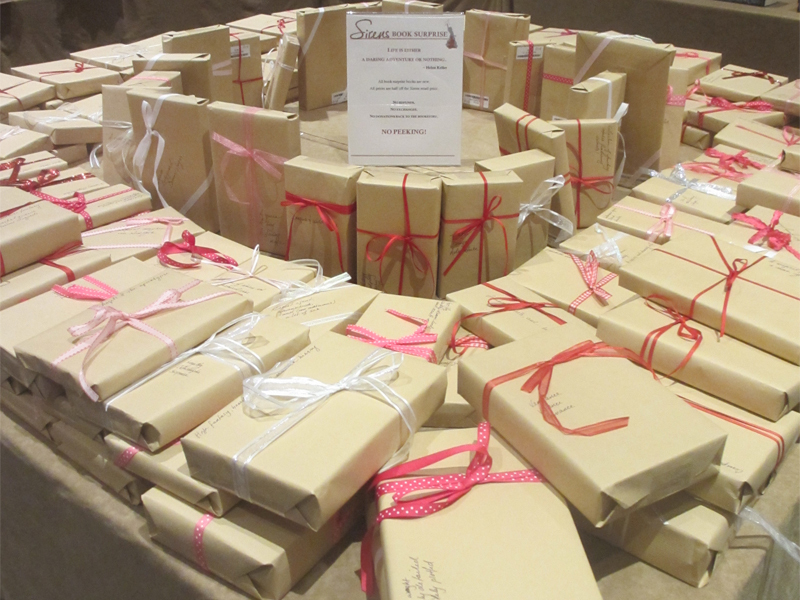 In many ways, our bookstore operates like any other bookstore: we acquire new books for sale just like any other store. But in two ways, our bookstore is different. 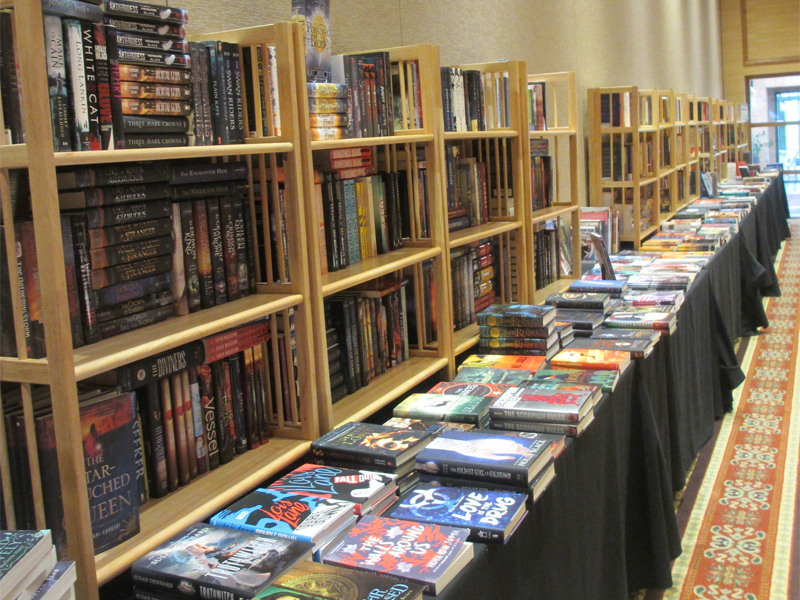 First, our community frequently donates new books, just to make sure that the bookstore includes them in its inventory; sometimes these attendees work for publishers, but more often, these attendees are simply Sirens supporters who want to help make our bookstore as wonderful as possible. Second, we have a used section of our bookstore where we offer gently used fantasy books for $5 each. That section of our bookstore is stocked entirely through donations. Regardless of whether you are able to provide us with additional support this year or not, and if so, regardless of the type or amount of that additional support, we thank you. This community means the world to us, and we’re both honored and humbled to say that we’re presenting our tenth year of Sirens this October. We’re interviewing each of our Sirens 2017 Guests of Honor about their inspirations, influences, and craft, as well as the role of women in fantasy literature, as befits this year’s theme of women who work magic. Our feature on Victoria also includes a review of A Darker Shade of Magic by B R Sanders, as well as a list of books recommended by Victoria herself centered on badass ladies and their power. The conference schedule for 2017 is up! Click here to see how many of your favorite things we scheduled across from your other favorite things! There’s still time to sponsor our programming sessions; the cost is $35 per presentation. Thank you again for all your support! 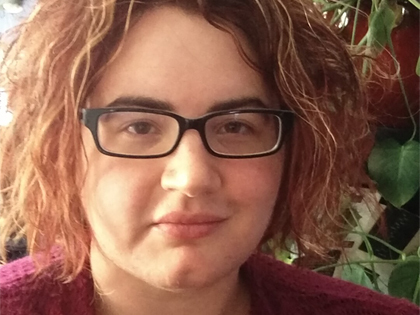 In our latest community post, Kate Larking shares with us her experience at Sirens versus the other literary conferences she attends: “One thing that unites us at Sirens is that we love developed, complex voices in speculative fiction. We embrace worlds that are different from our own and seek out the experiences of those who live within them.” Read the rest of her post here. Registered attendees, please check your inboxes for the full menus for this year’s conference. (You can also view our menus on our Conference and Sirens Supper pages.) If you have any allergies or dietary restrictions, please email us at (help at sirensconference.org) by September 8—after which, we’ll assume you can eat from our standard menus. Although Sirens is officially sold out for 2017, we have several attendees looking to sell their registrations (and sometimes other Sirens tickets as well). If you’re looking to sell yours and you’d like a signal boost, please tweet at us (@sirens_con) or feel free to post information on our Facebook. Please keep an eye on our Twitter for any announcements. Sirens offers a $95 round-trip shuttle from Denver International Airport to Vail, significantly cheaper than commercial shuttles which can cost upwards of $200. We encourage you to buy your shuttle ticket soon, even if you don’t have flights yet—there are only 9 spots left before our shuttle is sold out! We are close to filling our block at the Hotel Talisa for the third and final time. If you have not yet made your hotel reservation, please do so as soon as possible. We have only four rooms left on the main nights of Sirens, and on September 22, the hotel will release all remaining rooms. Any reservations made after that date will not receive the Sirens discount. For more instructions on how to make your reservation, please visit our Hotel page. 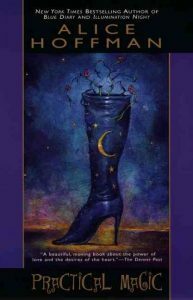 Sirens co-founder Amy Tenbrink read Alice Hoffman’s modern classic Practical Magic this month, which she admired for its focus on “a bunch of women…all doing the best they can. 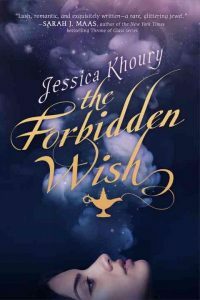 Sometimes solutions are magic, sometimes they’re determination, sometimes they’re taking your fears in hand and charging forward.” Full review on the blog and on Goodreads. 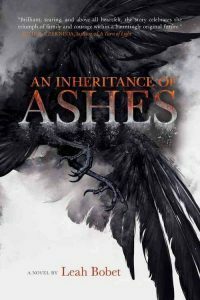 This August, Faye read Leah Bobet’s An Inheritance of Ashes for her Reading Challenge pick! She found it “a quiet book…full of surprises, and not shiny at all, in the best way possible.” Find out what that means by checking out her review over on the blog and on Goodreads. 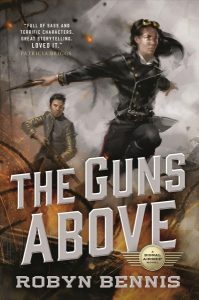 Longtime Siren Casey Blair read Robyn Bennis’s The Guns Above, which she loved for its complex world-building, amazing female characters, and masterful tone: “If you love wit and self-awareness in your fantasy to go with your airships, I highly recommend checking this one out.” Read her full review here. Lots of women won Hugo Awards this year (including this year’s Guest of Honor N. K. Jemisin for Best Novel)!